Papers, Please | Papers, Please! 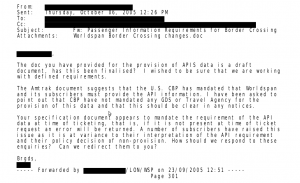 Papers, Please – Papers, Please! This sign is a lie. 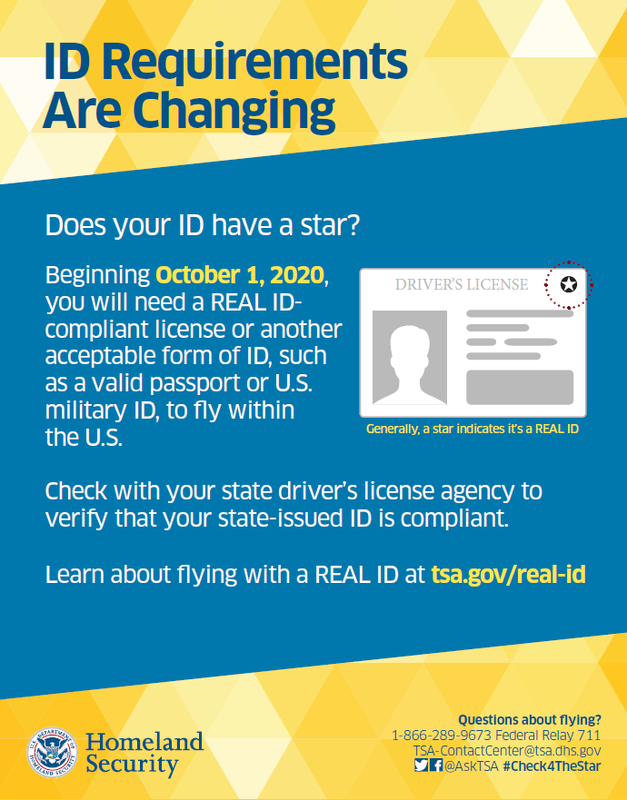 This isn’t the first time, and probably won’t be the last, that the TSA and/or DHS have made lying statements, issued lying press releases, or posted lying signs about the REAL-ID Act and ID to fly. Is ID required to fly? No. One would expect “requirements” announced by a Federal agency to be contained in laws or regulations. But the TSA’s own lawyers, officials, and witnesses testifying under oath have told judges in every lawsuit ion which the issue has arisen that no law or regulation required domestic air travelers to have, carry, or show any ID cards or credentials. The TSA’s responses to our Freedom Of Information Act (FOIA) requests for its records of people who show up at TSA and TSA-contractor checkpoints at airports without ID show that more than 98% of them — hundreds a day, and tens of thousands every year — are allowed to continue to board their flights without carrying or showing ID. Is this scheduled to change? No. Changes to Federal laws require action by Congress. No bill has been introduced in the current Congress (or ever, so far as we can tell) that would impose any ID requirement for air travel. Changes to Federal regulations require a process governed by the Administrative Procedure Act that starts with a “Notice of Proposed Rulemaking” (NPRM) published in the Federal Register. No notice of any proposed rules related to ID to fly has been published. 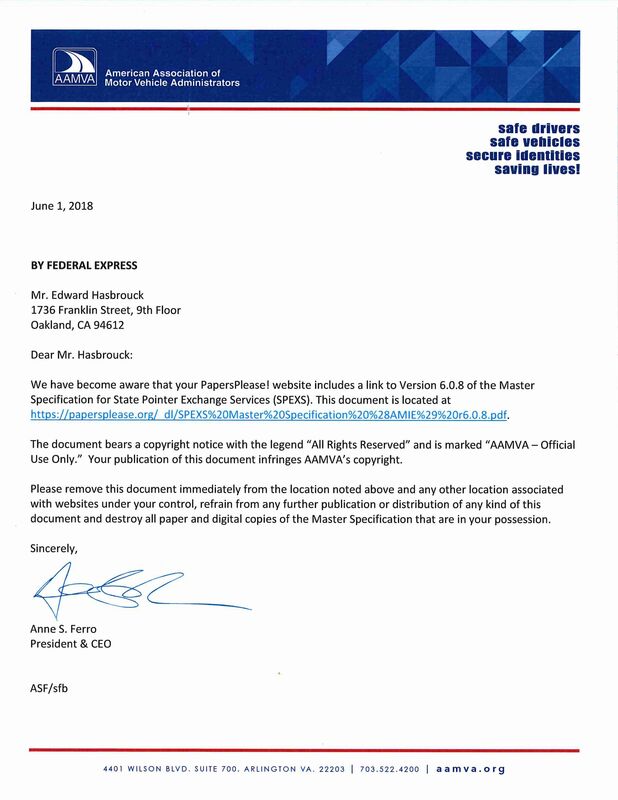 We pointed out to the TSA and OMB that it was improper to ask OMB to approve this form without first enacting a law or promulgating regulations providing a legal basis for the form. Other organizations and individuals also objected to the proposed form. 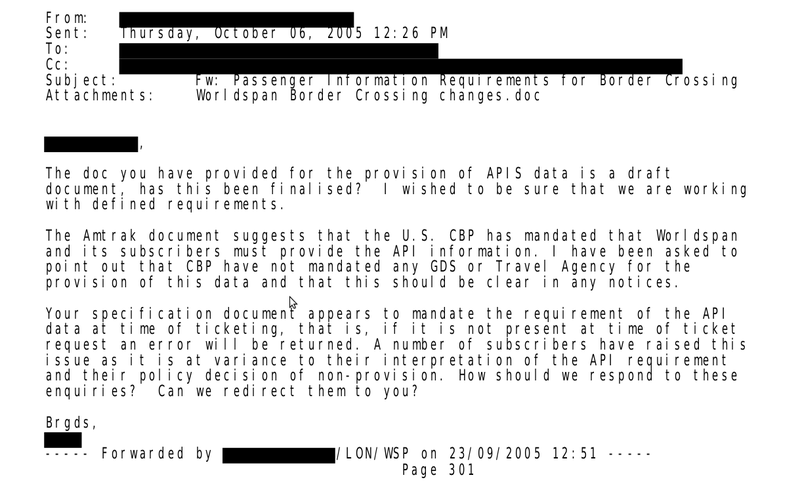 The TSA has neither responded to any of the objections nor submitted the form for OMB approval. Will the REAL-ID Act of 2005 change this? No. The REAL-ID Act and implementing regulations are concerned only with which ID cards are considered “acceptable”, in circumstances in which some (other) valid Federal law regulations requires ID for some Federal purpose. The REAL-ID Act itself did not purport to impose any new ID requirements, either when it was enacted, in 2010, or ever. Will I still be allowed to fly without ID in the future? Maybe, maybe not. That’s up to the TSA But if the TSA or its contractors prevent you from traveling, without a lawful basis, they will be violating your rights and breaking the law. Since the TSA is wielding power by secret internal orders and security directives to staff, contractors, and airlines, announced (if at all) through press releases rather than through proper formal notices in the Federal Register, it’s impossible to say with certainty what it will try to do. What it will do is likely to depend, in significant part, on its assessment of how widely and strongly particular assertions of illegitimate authority will be resisted. The TSA has been making threats to start harassing residents of states and territories that it hasn’t chosen — in what it has claimed is its standardless discretion — to certify as being sufficiently “compliant” with the REAL-ID Act, or to give extensions of time to comply. These certifications and extensions of time have had little apparent relationship with actual compliance, so they too are impossible to predict. The next of these threats is an extension of time to California to comply with the REAL-ID Act which is scheduled to expire at the end of the day on April 10, 2019. We suspect, especially after today’s press release — which focuses on an arbitrary date of October 1, 2020, rather than any of the “extension” expiration dates — that the DHS will either certify California and all of the other states and territories as “compliant” (even if they aren’t) or extend their time to comply until October 1, 2020. If there is one truth hiding in the forest of DHS lies about the REAL-ID Act of 2005, it’s that the DHS doesn’t want to cause riots at airports by subjecting residents of disfavored states to more intrusive searches and “ID verification” interrogation when they travel by air. The goal of the REAL-ID Act is to intimidate states into adding their residents drivers’ license and state ID data to the SPEXS national ID database, through threats to harass residents of states and territories that aren’t sufficiently compliant. Like any extortionist, the DHS wants its victims to submit, and doesn’t really want (and may not even be prepared) to carry out its threats. But what will the DHS do when its bluff is called by states or territories that are either unwilling or unable to comply? Today, April Fools Day, we’re seeing the latest test of the answer to this question, with the US Virgin Islands as the target of DHS threats. 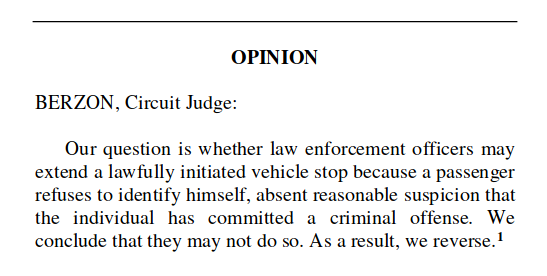 Passengers in a car stopped by police don’t have to identify themselves, according to the 9th Circuit Court of Appeals. That holds even in a state with a “stop and identify” law, and even if the initial stop of the car (for a traffic violation committed by the driver) was legal. The opinion by a three-judge panel of the 9th Circuit earlier this month in US v. Landeros is one of the most significant decisions to date interpreting and applying the widely-misunderstood 2004 US Supreme Court decision in Hiibel v. Nevada. Many police think that the Hiibel decision upheld the Constitutionality of requiring anyone stopped by police to show ID. But that’s not what the Supreme Court actually said. The 9th Circuit panel that decided US v. Landeros read the Hiibel decision carefully and correctly, and gave important and explicit guidance on the narrowness of its findings and what it actually means for people who are stopped and asked for ID by police. What does this mean for you, especially when or if you are in the 9th Circuit or want to raise the 9th Circuit’s latest decision as persuasive authority in another circuit? An article by Saad Hasan for TRT World (the English-language news service of Turkey’s national public broadcasting network) highlights a life-and-death issue for refugees: Why are thousands of asylum seekers who could afford to buy a plane ticket to Europe or the USA dying every year trying to cross the Mediterranean Sea or the Sonoran Desert to reach a country where they can find sanctuary from persecution? An asylum claim cannot be made or adjudicated until after a claimant arrives in a country of refuge. Asylum seekers cannot be required to have any specific documents, and their inability to obtain travel documents from a government from which they arefleeing may be part of the evidence supporting their asylum claim. A common carrier has an obligation to transport all passengers willing to pay the fare in its tariff. But the U.S. imposes civil fines on airlines and other carriers that transport unsuccessful asylum seekers. 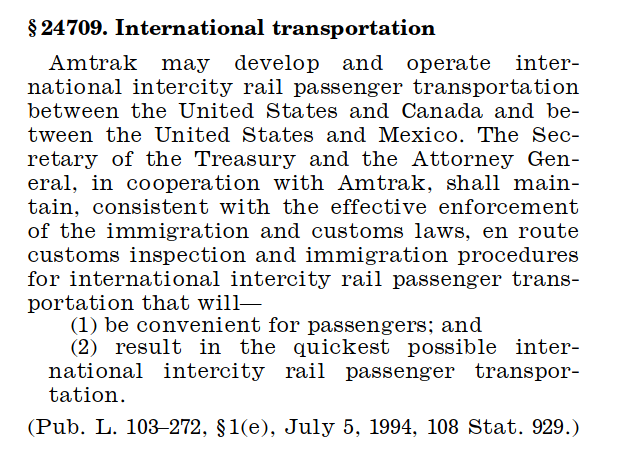 These “carrier sanctions” turn inherently unqualified airline ticket sales and check-in clerks into de facto asylum judges of first and last resort, with a government-imposed financial incentive to err on the side of denial of transport. 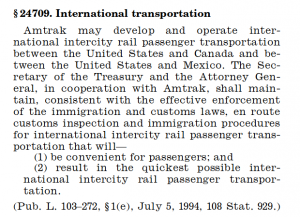 For asylum seekers, denial of air transportation either acts as a categorical bar to reaching U.S. territory to make a claim for asylum, or leads asylum seekers to use irregular and often fatally unsafe routes and modes of land or sea travel to reach the U.S. Solving the problem of deaths in transit doesn’t take a lengthy legislative process like introducing a humanitarian visa. Almost by definition, not everybody who applies will be given such a visa. And any visa will have to be applied for at a consulate or embassy in a country where an asylum seeker may be subject to retaliation for visiting such a consulate. All it takes to reduce these deaths is a small change in administrative practice: Stop fining airlines when they bring people to a border or port of entry and the people are not admitted, and enforce their duty as common carriers to transport anyone willing to pay the fare in their tariff. If the country and the airline don’t want the expense of returning failed applicants for asylum, airline regulations could require that an airline must transport passengers without visas if they have purchased a return ticket or a ticket onward to another country. This is already required for most visitors to the US or the European Union, even if they have visas. This would double the revenue to the airline for each such refugee. For legitimate refugees, most of those return tickets would expire unused, making them free money for the airline — but not risking the lives of refugees by denying them access to safe air transport. It’s tempting to some people to think of freedom of movement as something “abstract” or important only to the “jet set”. But nothing could be further from the truth. Administrative restrictions like carrier sanctions, and failure to enforce the duties of common carriers, are a life-and-death matter for some of the world’s most destitute and deserving refugees, those who would qualify for asylum if they could only reach a country of refuge. A report released earlier this month by the State Department’s Office of Inspector General confirms that, as we and others began reporting in 2013 and 2014, State Department staff “failed to comply with relevant procedures intended to safeguard the rights of U.S. citizens” when they summarily seized or retained the passports of US citizens who sought consular assistance at the US Embassy in Sana’a, Yemen. Because of incomplete and inconsistent record-keeping and shifting stories told to OIG investigators by State Department staff, the OIG was unable to determine how many US citizens were improperly deprived of their passports, or for how long. The consequences for these Yemeni-American US citizens were especially dire because many of them were seeking to leave Yemen to escape the escalating civil war and foreign military interventions in Yemen (some of which were backed by the US and its allies). Without passports, these US citizens were unable to travel legally from Yemen to other countries, or to return to the US. They were forced either to remain in increasingly war-torn and dangerous Yemen, or use dangerous illegal means of transport to escape. The de facto policy of the US Department of State as early as 2013 — even before the inclusion of Yemen in the 2017 Muslim ban executive orders — appears to have been to define anyone with Yemeni ancestry, regardless of citizenship, as an enemy of the US, and to use all available legal or illegal methods to deny them US passports. Typical tactics included putting applications by Yemeni-Americans for new or renewal passports into indefinite limbo, and indefinitely retaining US passports presented to consular officials at the US Embassy in Sana’a. Typically, no formal decision that would be readily subject to judicial review was made. Even when a passport was revoked or an application for a passport was denied, the affected citizen often wasn’t notified until months or years later. Several lawsuits were brought challenging the denials and delays in issuing, renewing, or returning passports. At least one case led to a court order for the return of a US passport seized in Sana’a. But the government was able to evade judicial review of most of its passport denials and seizures by reversing its decisions and dropping charges or issuing delayed passports once its victims lawyered up and made it to US courts. Despite the fairly scathing report by the OIG, there’s no indication that any of the responsible State Department officials — either at the embassy in Yemen or making policy and directing practices from the US — have lost their jobs, much less been prosecuted, for conspiring to deprive US citizens of their fundamental rights, in circumstances where the ability to exercise those rights could be a matter of life and death. The closest contemporary counterpart to what the TSA envisions for the USA is the pervasive surveillance and control of travelers in China through automated facial recognition by the Public Security Bureau.